A long time customer of ours called in early one week, requesting our parking lot repair services. While he had performed the necessary maintenance steps, wear and tear on his parking lot had resulted in a large pothole near the entrance. Parking lots, providing a first impression for businesses, are important to repair quickly and effectively. This provides a safe driving surface for customers, and makes for a positive appearance. Being familiar with the client, and the location, our team was quickly able to provide our client with a quick and detailed estimate for the job. After receiving confirmation, our crew was scheduled for a day in which the business was set to be closed. The morning of the job, our crew prepped for asphalt patching and crack sealing. 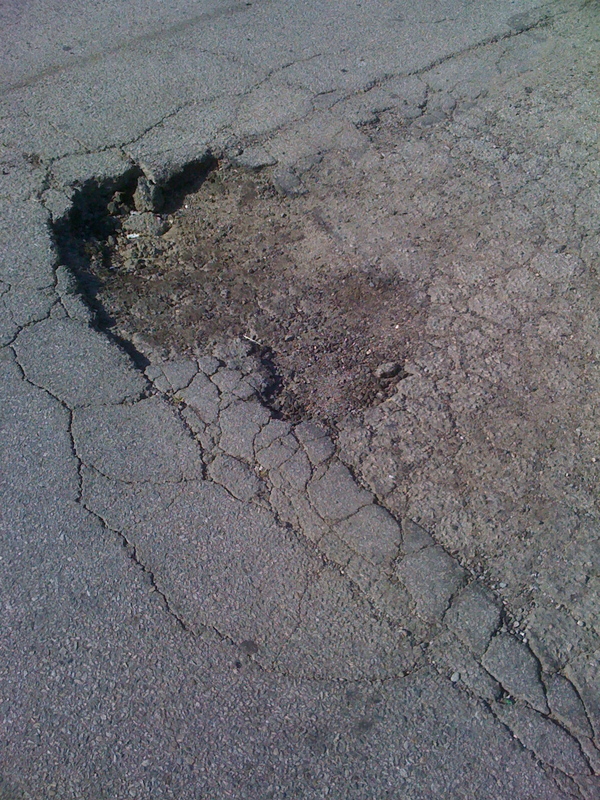 (p>After arriving at the location, it was evident that the pothole had formed from the evolution of smaller cracks. After a quick examination of the current state of the lot, our team began work. After the completion of the parking lot patching and crack sealing, the customer was happy to have a revitalized parking lot for his customers to use. After a hard days work, the satisfaction of the customer, provided our crew with a sense of pride.